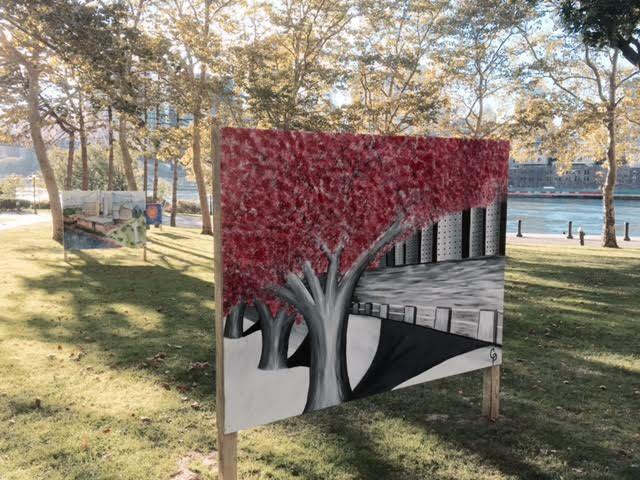 and more scenes from the October 10 Roosevelt Island Fall For Arts Festival. 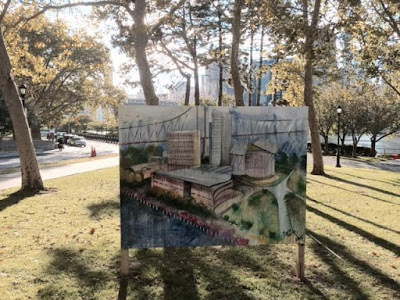 The theme for 2015 was "Roosevelt Island: Celebrating Our Past and Our Future" The image of the nurse is based on a photo of a nursing student from "Roosevelt Island (Images of America)" by Judith Berdy but I replaced her face with my grandmother's from the 1940's. 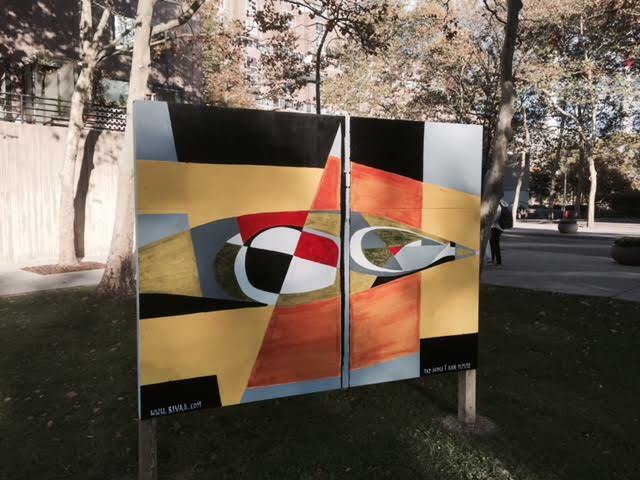 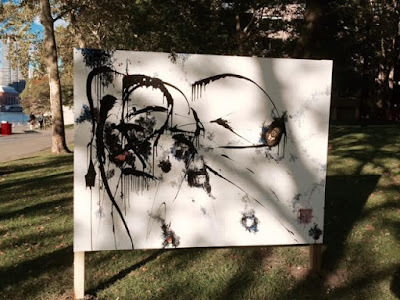 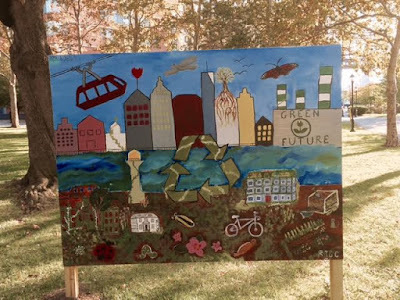 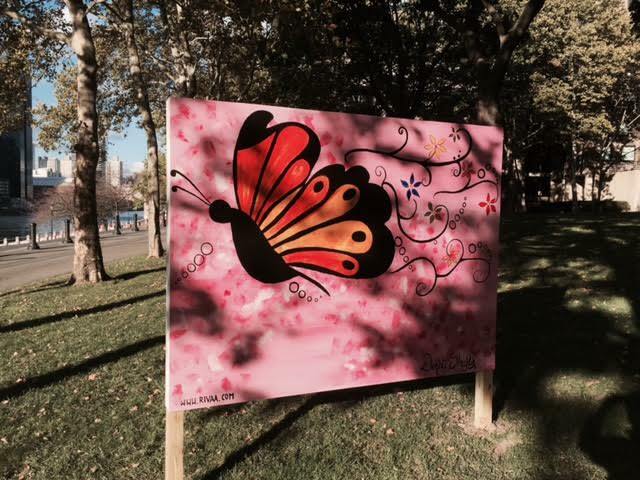 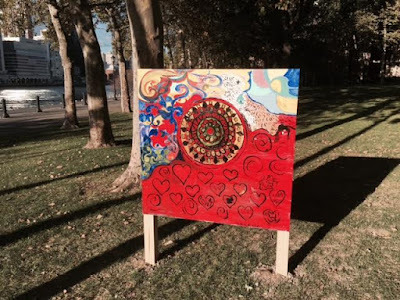 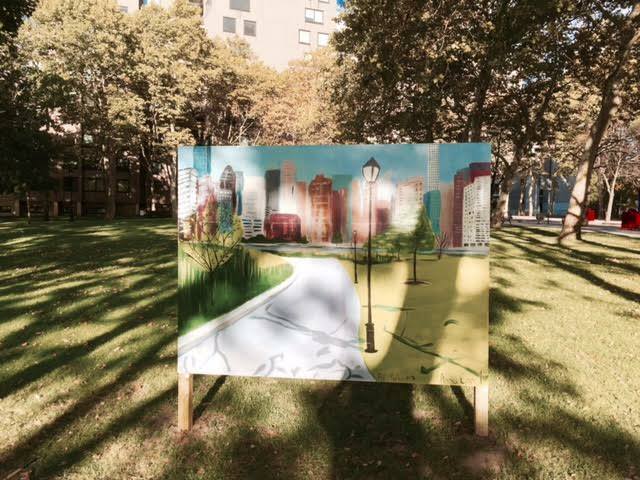 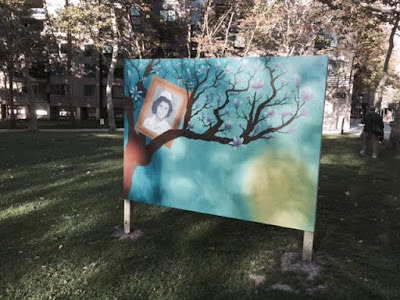 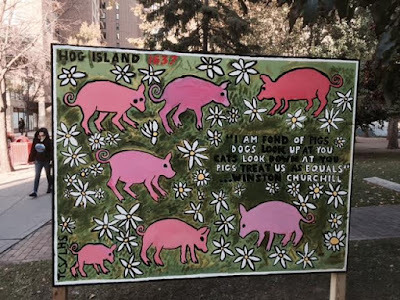 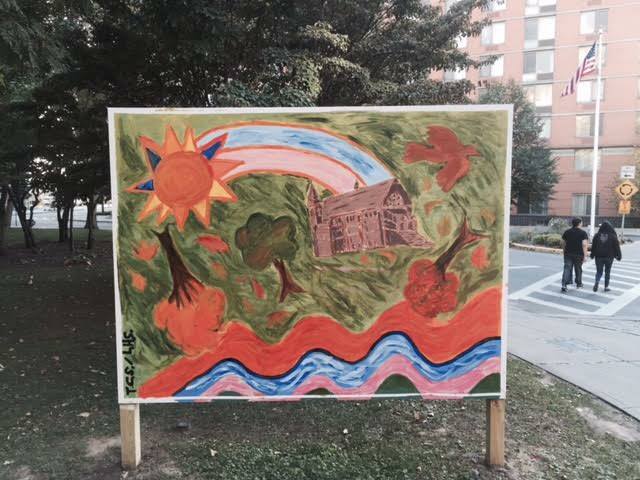 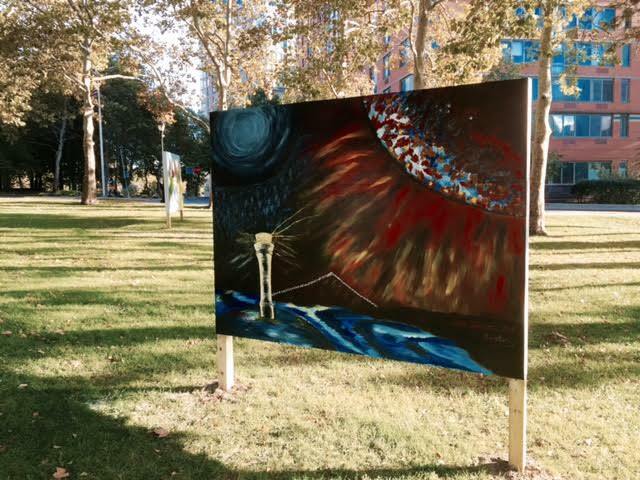 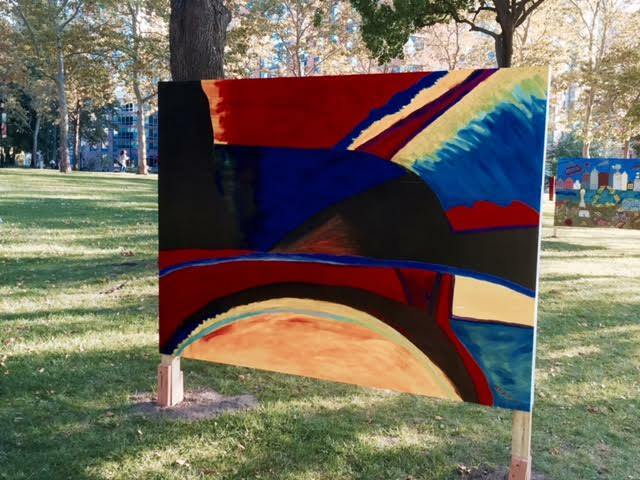 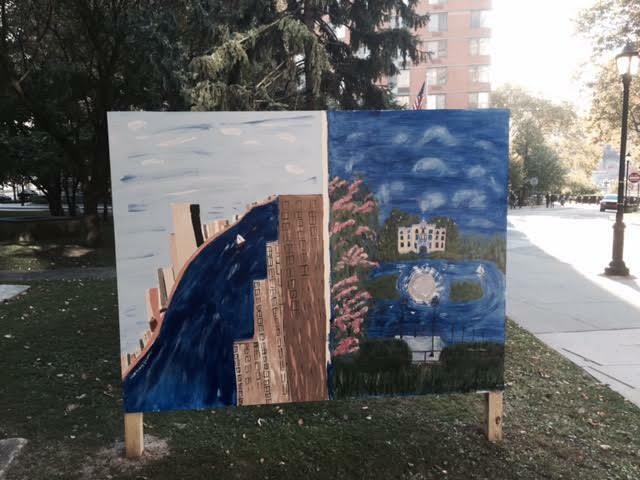 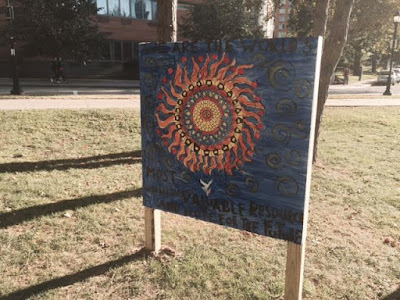 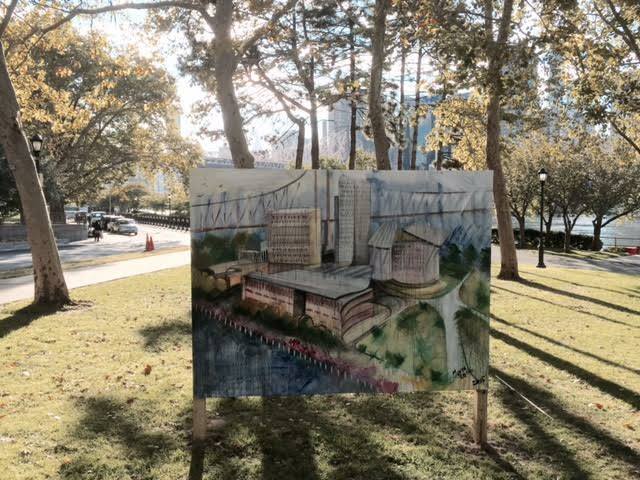 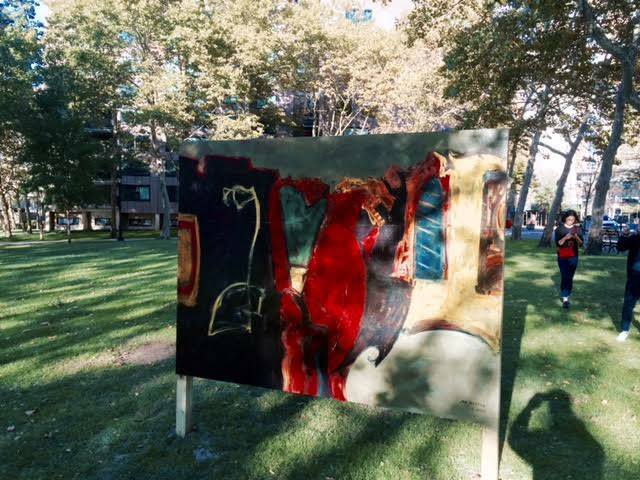 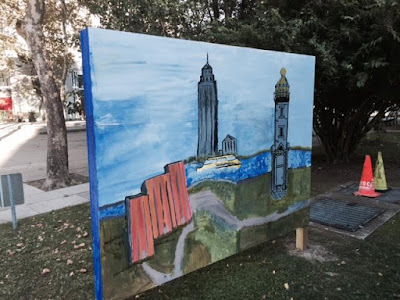 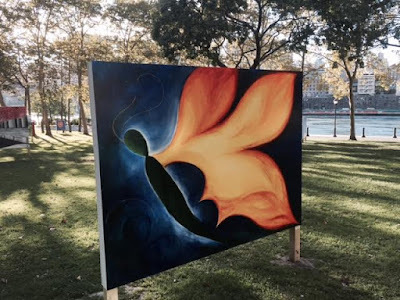 Here's more Art by Jeff Lee and all of the Roosevelt Island 2015 Fall For Arts Murals which are located at the Rivercross Lawn and next to Blackwell House. 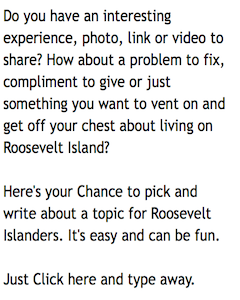 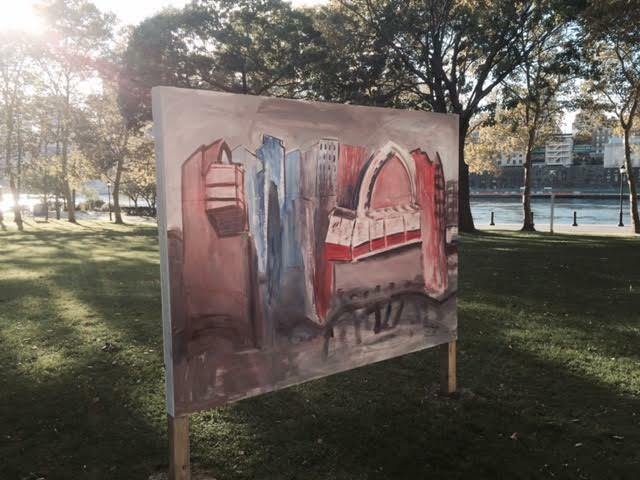 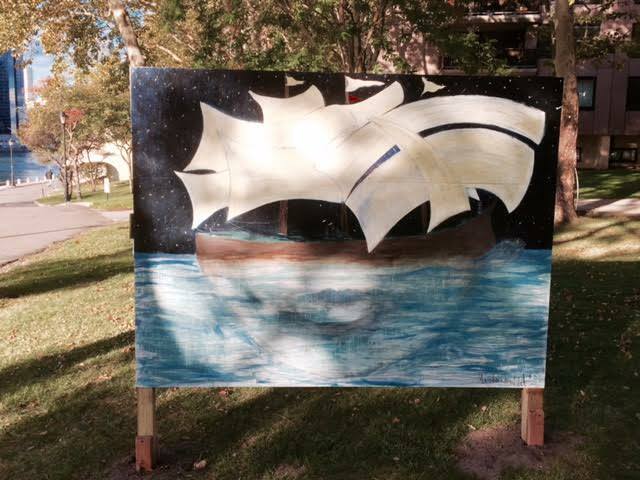 There more on the 2015 Roosevelt Island Fall For Arts Festival at this previous post. The murals will eventually be exhibited at the Motorgate Art Gallery.